After renaming a server and reinstalling Exchange 2010 i got the following error while launching EMC: The following error occurred while attempting to connect to the specified Exchange server ÔÇÜ<OLD SERVERNAME’. The problem was that EMC still tries to connect to the old server name, and I found no option to specify the new one. So I looked around in the Registry and TaTa, there is one value which still includes the old value. Just too bad that it’s a Binary value. So if you want you can also just rename the server to the new and right value. The easier solution (which I did) is just deleting the value “NodeStructureSettings“. Thanks a bunch for this posting. I had been searching for this answer for a few days and I ran in to your posting this morning and it worked perfectly. Thanks a lot for this posting. 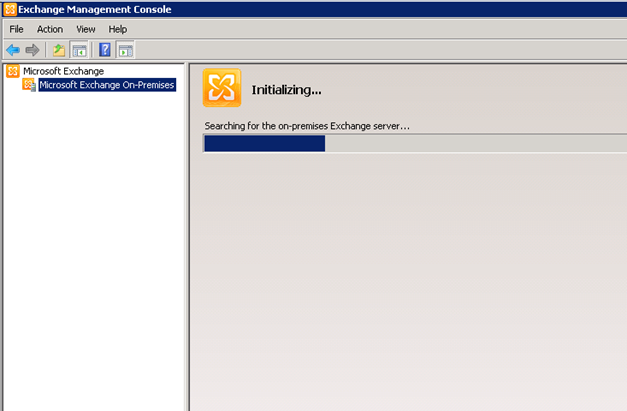 Perfect solution after remove Exchange 2010 CAS server. Thanks your post, it solved my problem 2! Your article helped me a lot. I was whacking my head trying the find the key. Thanks for the tip! 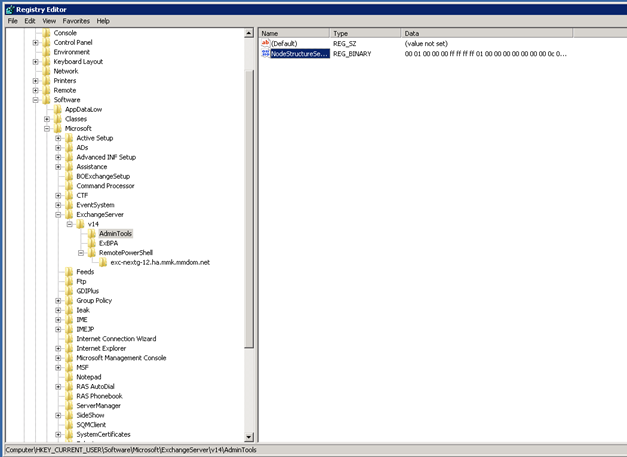 For me, the discovery found an old exchange 2003 server (shown in eventvwr). Deleting the reg key did not work since it re-discovered the same machine. I found I could export the key you mentioned from my Exch 2010 box and import it to my Win7 PC with the management console installed.